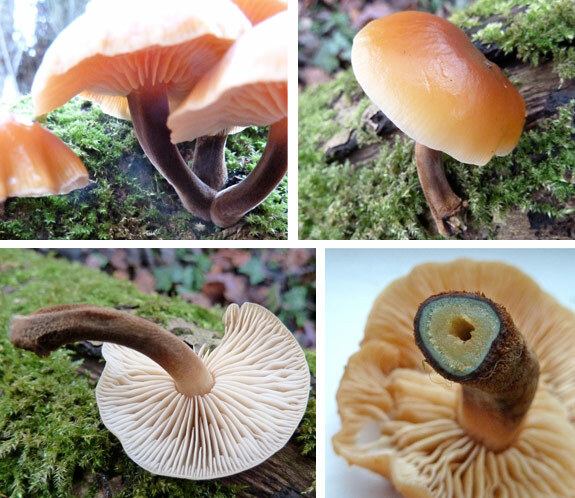 On a fallen branch of a deciduous tree (I’m not sure which to be honest – I was too excited to notice!) 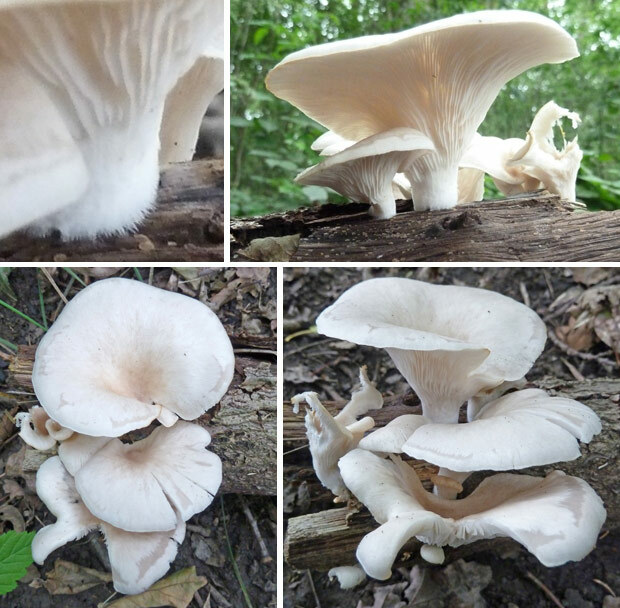 was a small stout and proud group of Branching Oyster Mushrooms (Pleurotus cornucopiae). 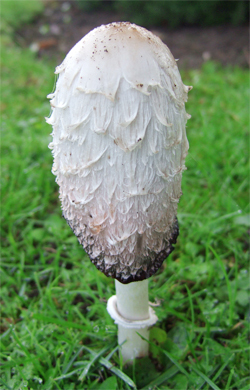 A couple were damaged but there were some great specimens with younger ones just poking below the senior ones. They were cute! 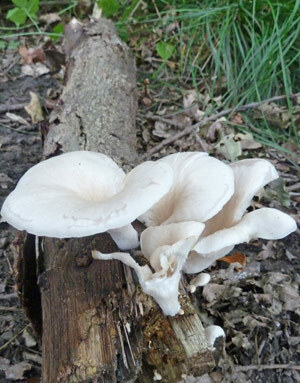 I don’t come across many Oyster mushrooms at all. Maybe that’s just Leicestershire, who knows? 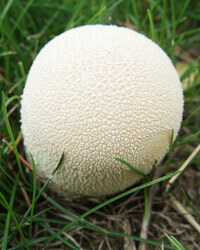 But this find was new to me, albeit being a moderately common mushroom. 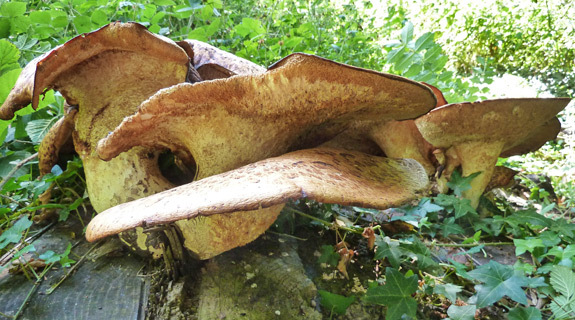 It had had it’s day during the period of Dutch Elm disease in the UK but nowadays is declining but still widespread. 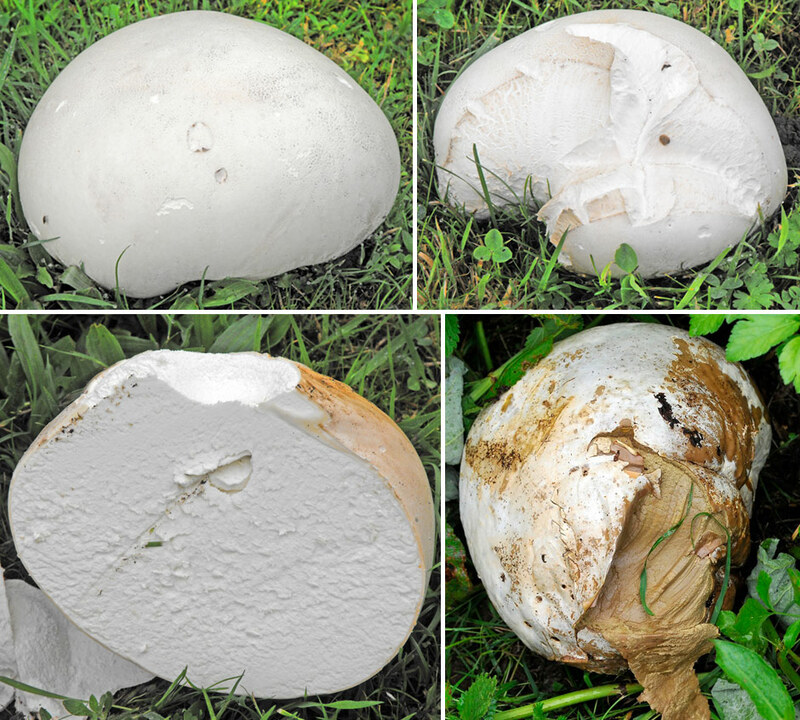 I knew I was dealing with an Oyster mushroom of some sort. Looking at all the immediate visual features I was pretty sure what it was. 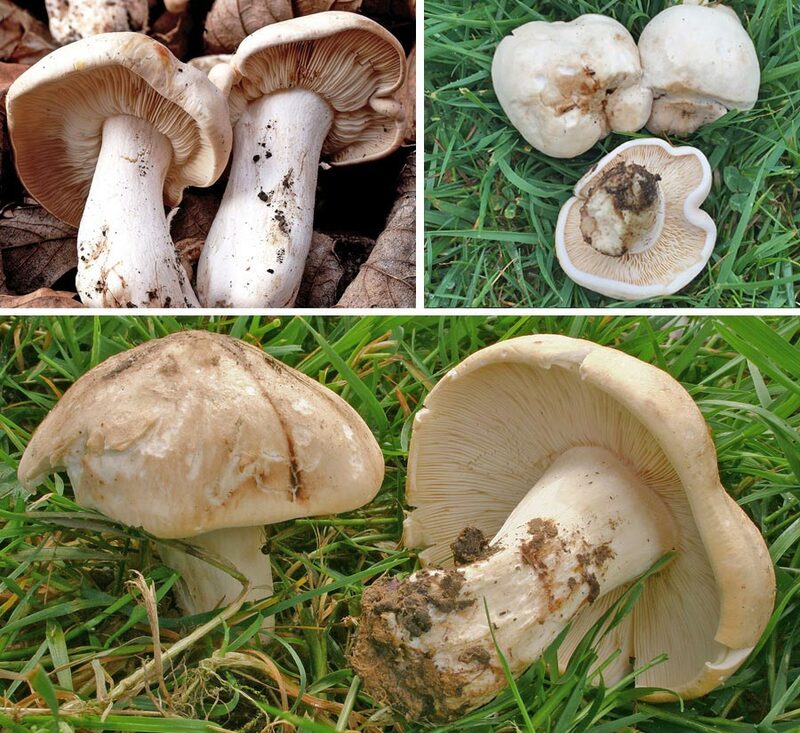 Unlike the typical Oyster mushroom (Pleurotus ostreatus) which has many colour variations, it is actually never white. So that ruled that out. 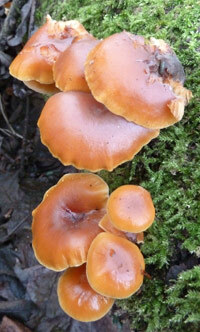 But as the Branched Oyster matures further it does turn more towards ochre brown. Something to be aware of I think. 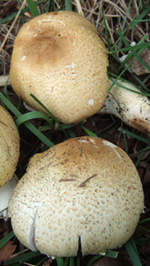 To elaborate on the colour (mentioned above) this mushroom is initially white/cream, covered in a whiteish bloom, and in time will have an ochre tint, eventually becoming completely ochre-brown. 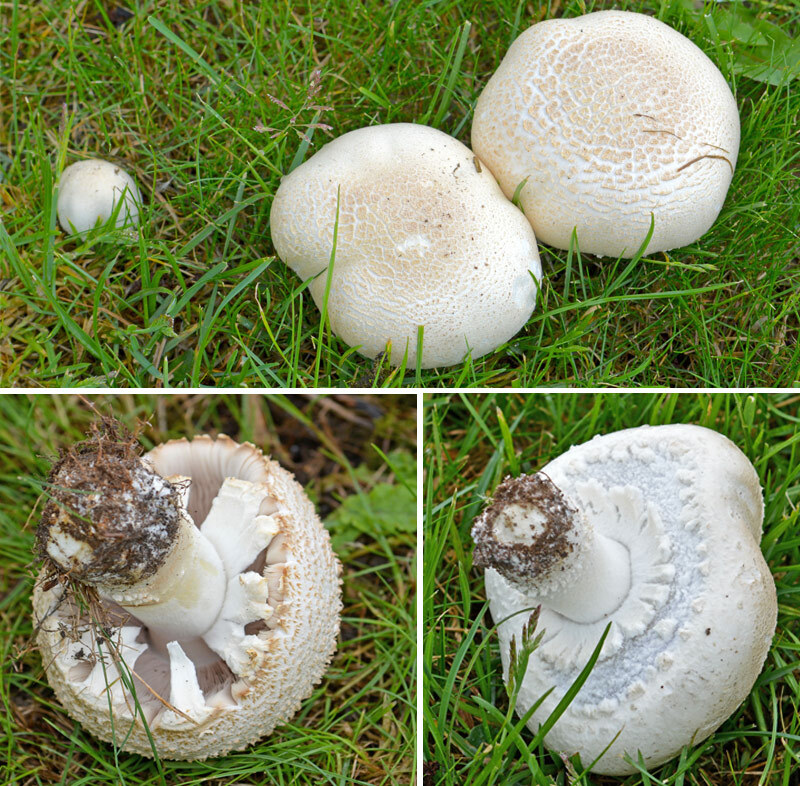 Other features include the cap itself becoming wavy and often split a the margin, as shown here in the various pictures. 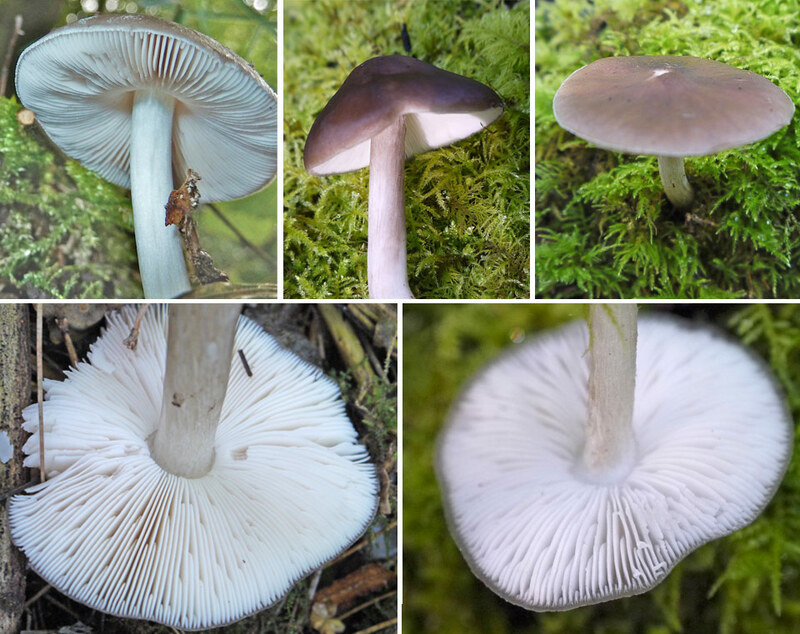 And if you do (or even have) found any of these beauties you may see them growing sideways out from the wood and the stem curve so the cap is level with the floor. In this case, I think they were lucky to be facing skywards due to the fallen branch. 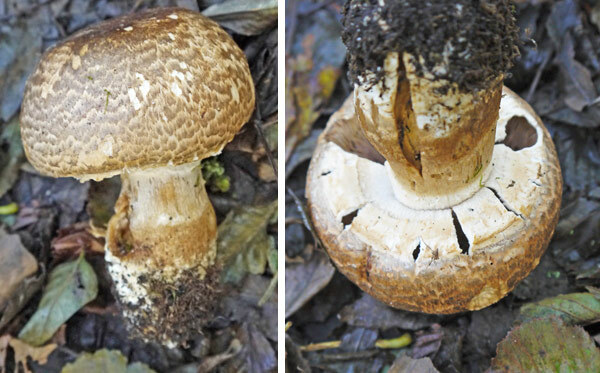 The stems usually ‘fuse’ together at the base. 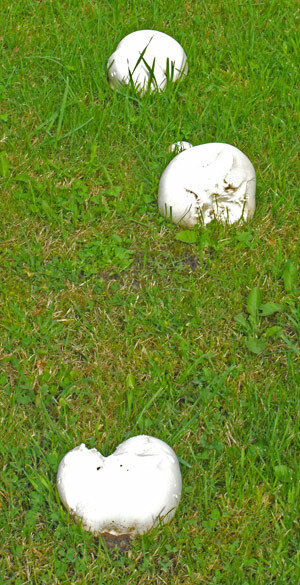 Again, in this case, only a few were fused together when I found them, and the larger ones were on their own. 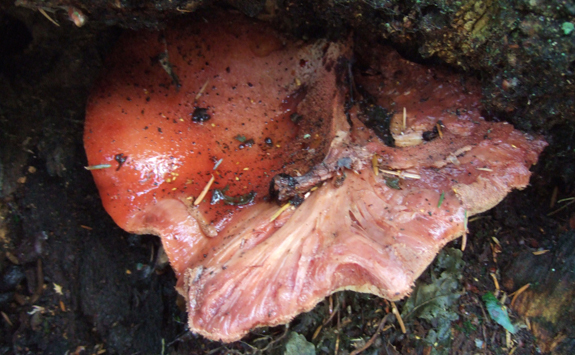 Different finds sometimes show slightly different results. Good points to take note of. 5-12 cm accross. 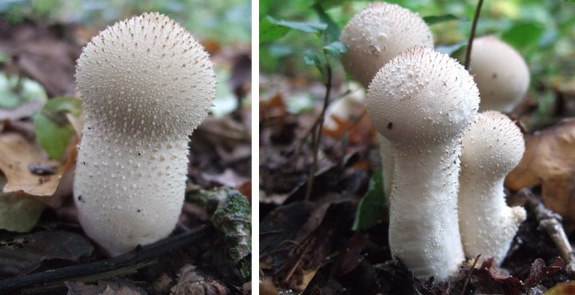 Initially convex/rounded then funnel-shaped. Margin often splits. 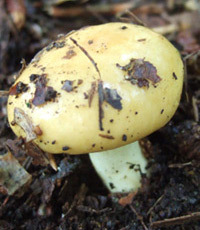 Cream coloured with white bloom turning ochre brown with age. Smell is of flour or slight ammonia. 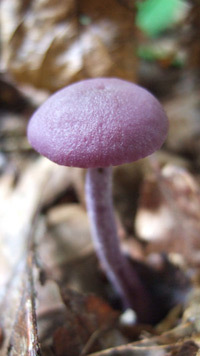 2-5 x 1-2.5cm, off-centre. 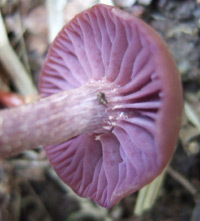 usually fused with others at the base. Whiteish. Ochre tinge with age. Very decurrent. 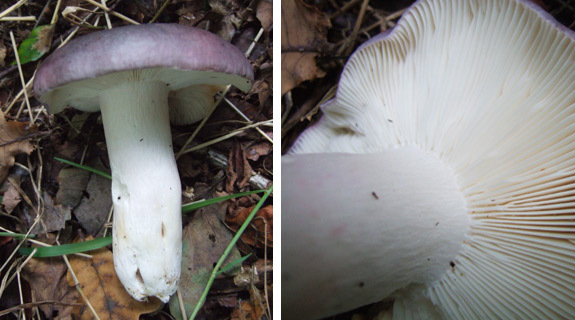 White and/or pale pink in colour. 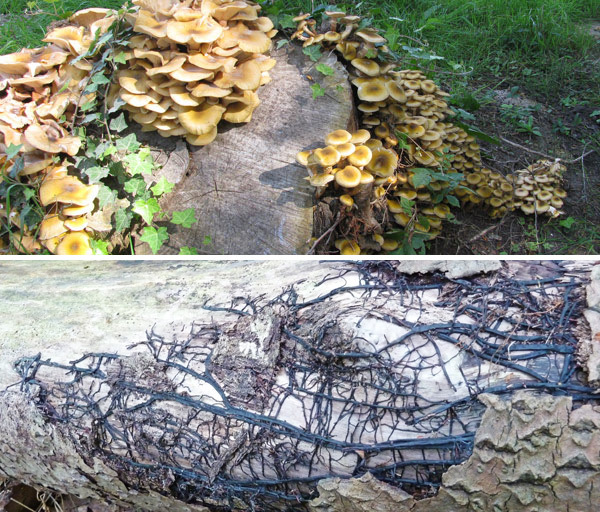 In grouped clusters on stumps or dead wood of deciduous trees (esp. 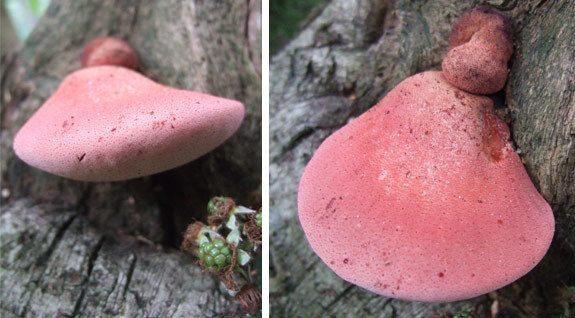 elm or oak). Spring to autumn. Occassional. 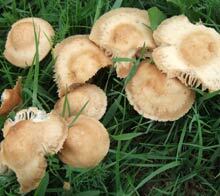 • Shell shaped fruting body, often with little or no visible stem. 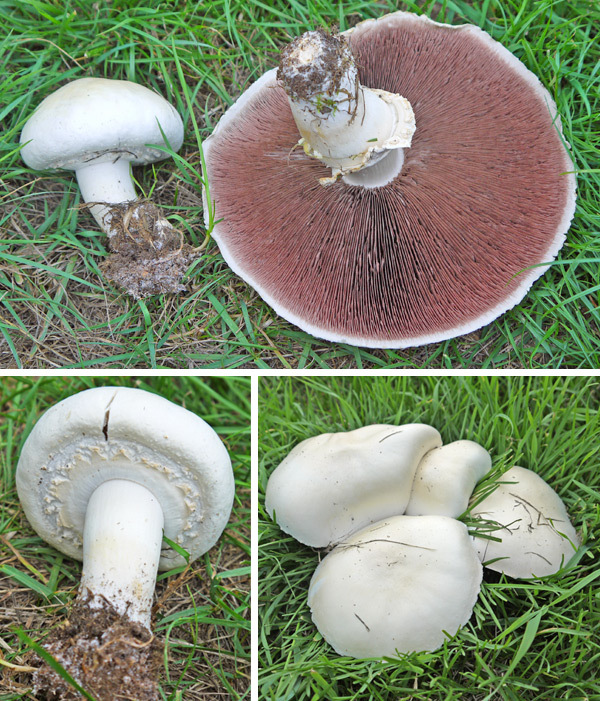 Spring Madness – Blewits in May!? 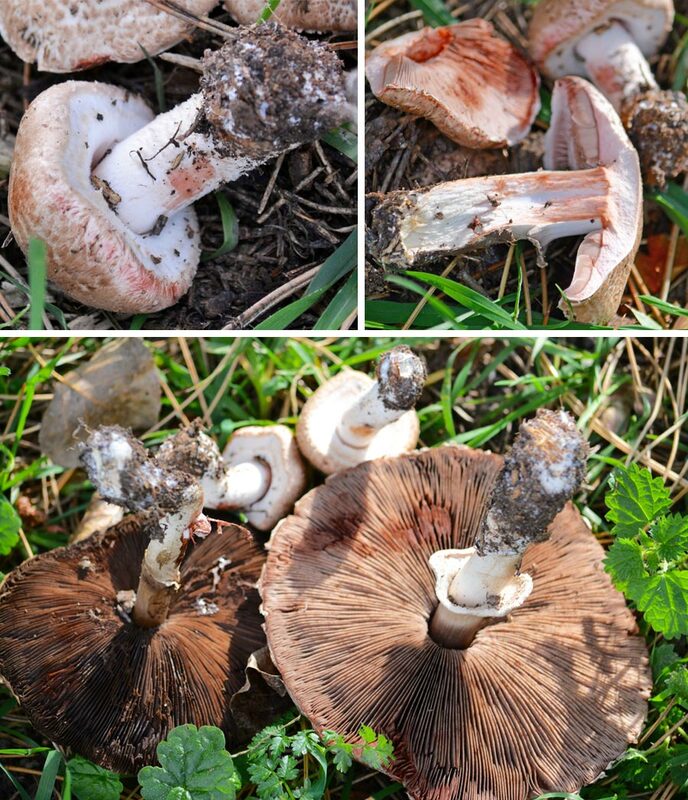 After a recent enquiry to the website asking the same question I was asking myself, I was spurred on to feature this post and it’s very ‘out-of-season’ theme! 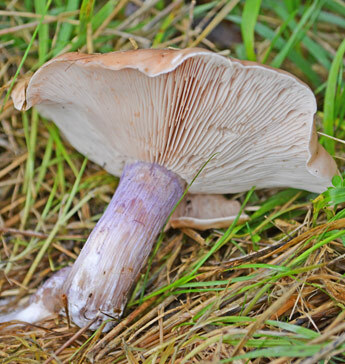 The Wood Blewit (Clitocybe nuda / Lepista nuda) was in good supply during it’s normal season in late autumn/winter. 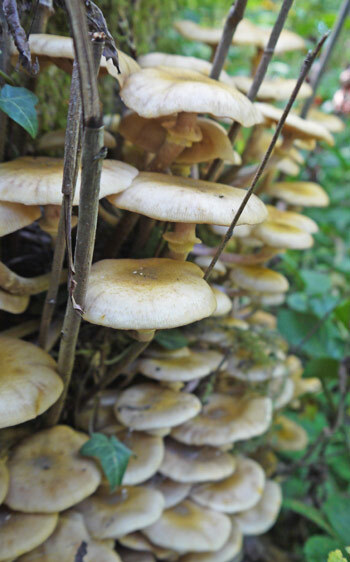 Scattered in Woods, gardens and hedgerows, there was always a chance to spy a few and take them home for your tea. 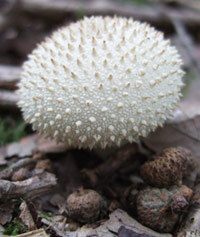 But during April and this early May time, the weather has been very wet and weird, and at times unseasonably cold. 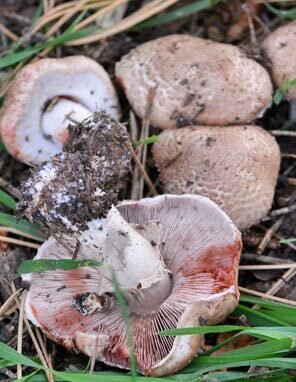 I’m not sure, but this could be one factor in explaining why myself and others have been finding delicious Wood Blewits out of season. 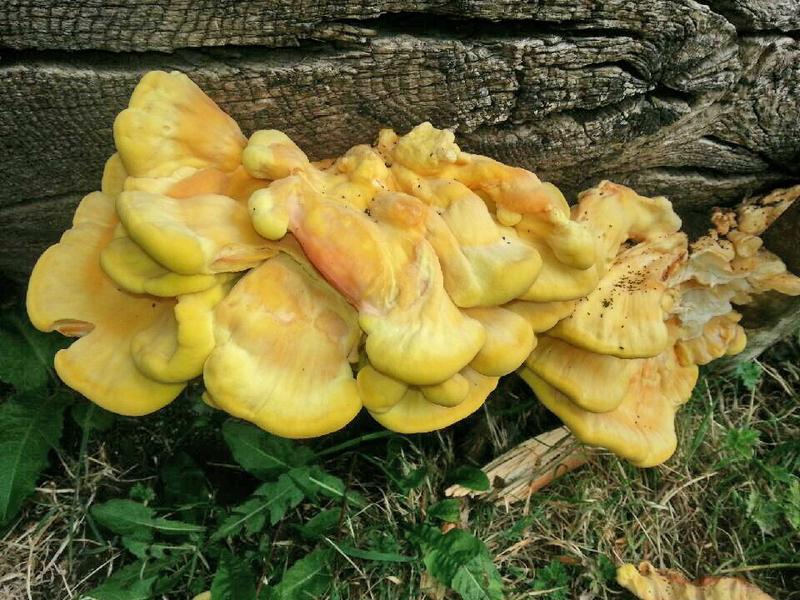 My first discovery was in April – 3 weeks ago and just recently this weekend in May. It’s all very strange and I’m not sure if I should be happy or alarmed! And I don’t especially want to get into that global warming argument either. 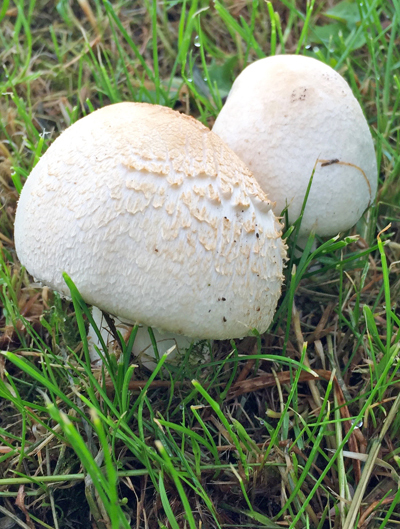 But mushrooms are often unpredictable and can waver in and out of season now and again – but I have to be honest, these critters are extraordinarily pushing the limits! 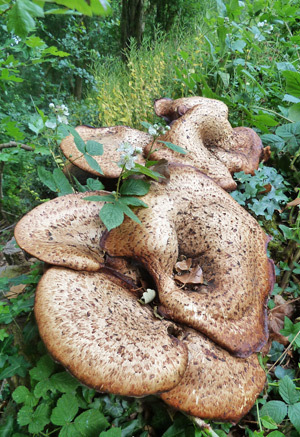 I did notice with my recent discoveries that they were both extremely close to rotting wood. 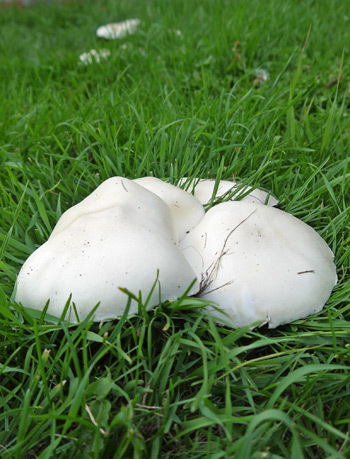 They do feed on dead organic matter (saprotroph) but this is usually hidden underground. 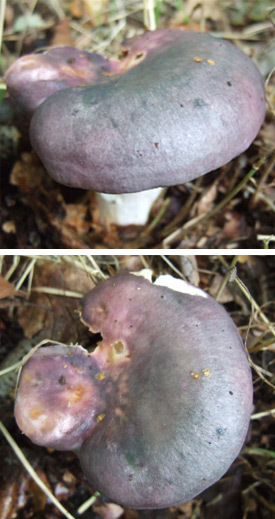 The picture (shown above) were of two Blewits actually on the edge a decaying stump, but the substrate they were in was a fine mixture of rotten wood and rich soil. 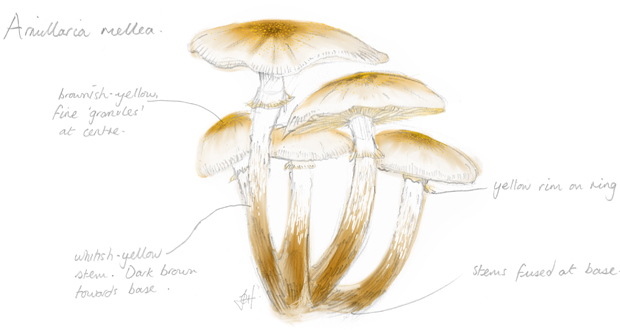 The others were found in a similar scenario, hugging a fallen tree trunk, again in a very ‘peaty’ like soil. I can only guess again that this could be a contributing factor. 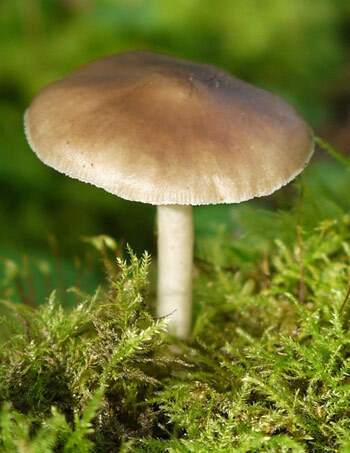 The soil must have been very rich in nutrients ideal for our little Lepista! Anyway, keep your eyes peeled, you might see some yourself this May. Who knows? PS. 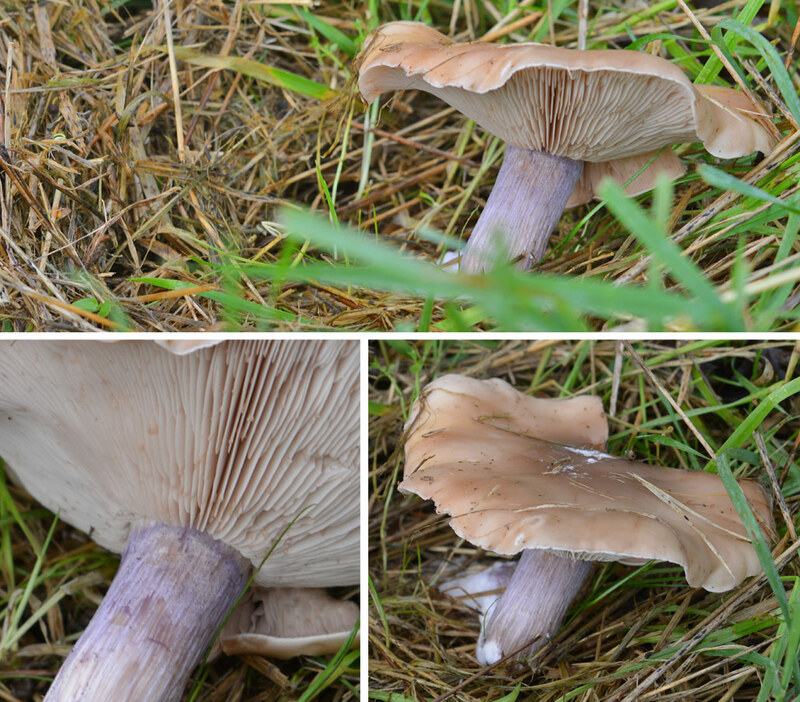 For further information on Wood Blewits in my posts and further identification notes, see my other two posts here: ‘Blue Legs for Winter – The Wood Blewit’ and ‘Snow patrol – Wood Blewit’. 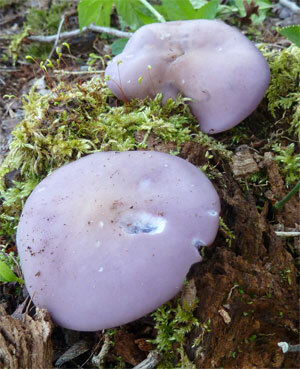 Late in the season – Wood Blewits found in April and May. 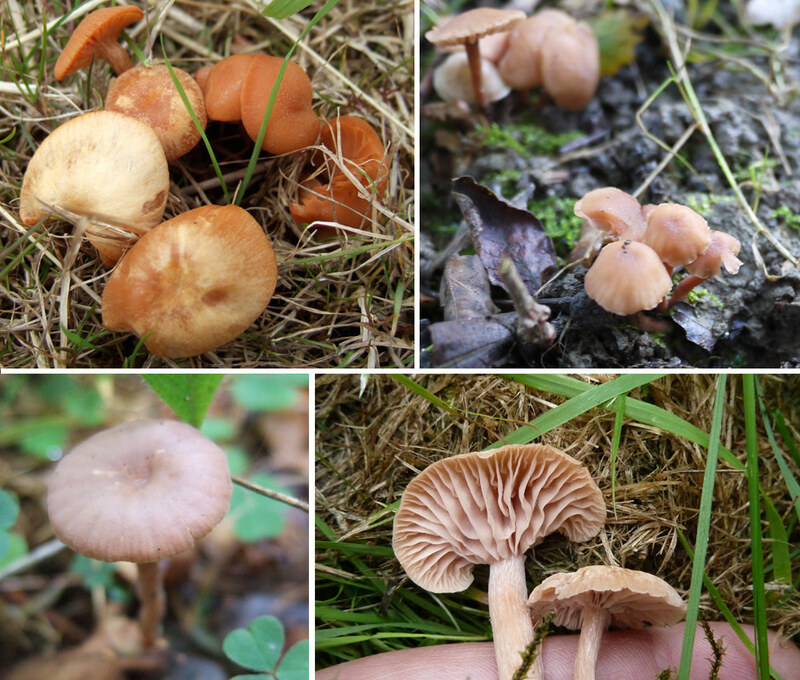 https://i0.wp.com/www.mushroomdiary.co.uk/wp-content/uploads/2012/05/wood-bewits-in-may.jpg?fit=670%2C250&ssl=1 250 670 J C Harris https://www.mushroomdiary.co.uk/wp-content/uploads/2015/10/mushroomdiary-logo-2015-small.png J C Harris2012-05-06 16:27:142016-12-07 10:39:16Spring Madness - Blewits in May! ?